Four different versions of the F-16 were used by Dryden in the 1990s. On the left and right sides are two F-16XLs. 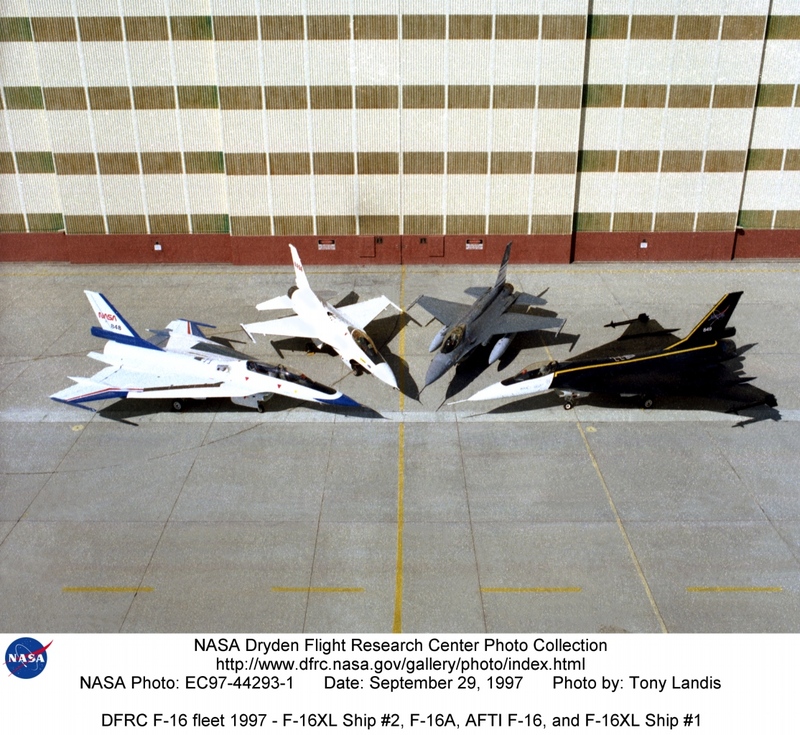 On the left is the F-16XL #2 (NASA 848), which is the two-seat version, used for advanced laminar flow studies until late 1996. 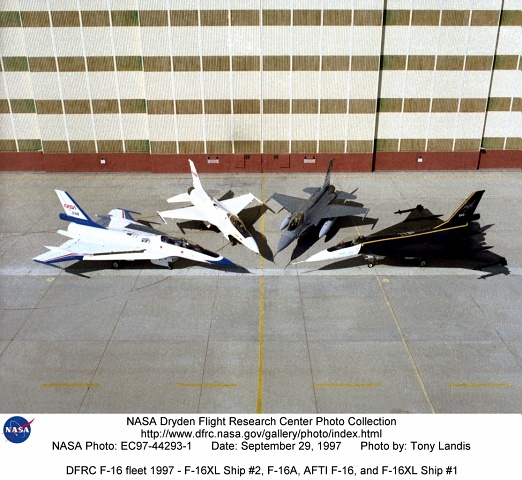 On the right is the single-seat F-16XL #1 (NASA 849), used for laminar flow research and sonic boom research. (Laminar flow refers to smooth airflow over a wing, which increases lift and reduces drag compared to turbulent airflow). Between them at center left is an F-16A (NASA 816), the only civilian operated F-16. Next to it at center right is the U.S. Air Force Advance Fighter Technology Integration (AFTI) F-16, a program to test new sensor and control technologies for future fighter aircraft. Both F-16XLs are in storage at Dryden. The F-16A was never flown at Dryden, and was parked by the entrance to the center. The AFTI F-16 is in the Air Force Museum.